BAGUIO CITY – The local legislative body invited officials of the Cordillera office of the Department of Public Works and Highways (DPWH-CAR) to be enlightened on the possibility of opening the historic and scenic Kennon Road to light vehicles a few days before major special occasions in the city to help in decongesting other major roads leading to the country’s undisputed Summer Capital. 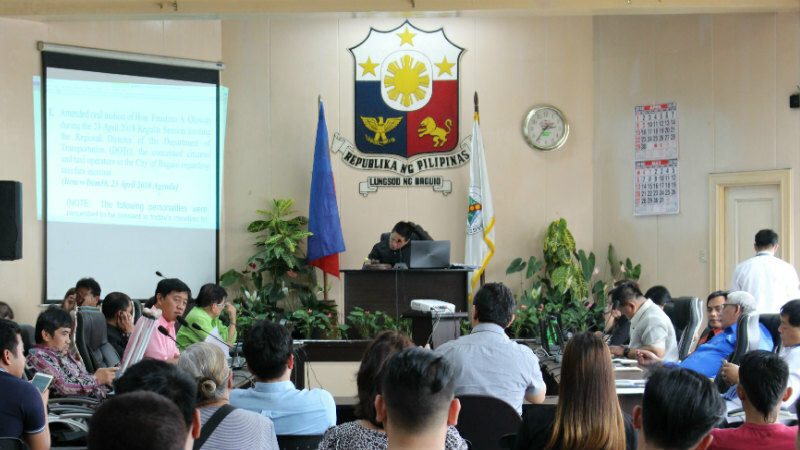 Local legislators prefer to listen to the explanations of DPWH-CAR officials during their upcoming regular session on Monday, January 14, 2019 before approving a resolution strongly requesting the DPWH to open the 34-kilometer roadline to light vehicles several days before the conduct of special events so that visitors will have additional routes to and from the city. Kennon Road, which was built over a century ago, remains to be the shortest route in and out of the city from the lowlands that is why it is preferred by motorists because they will have a chance to experience driving through the scenic zigzag road to and from the city. The local legislative body deferred its action on the proposed resolution to hear out DPWH-CAR officials on the status of the on-going rehabilitation projects and the possibility of opening the roadline to light vehicles specifically during special occasions in the city and other neighboring towns of Benguet. Earlier, the Cordillera Disaster Risk Reduction and Management Council (CDRRMC) decided to lodge with the regional director of the Office of Civil Defense (OCD) the announcement on when will Kennon Road be opened to light vehicles when special occasions in the city are about to be conducted. At present, the DPWH-CAR and its First Benguet District Engineering Office (FBDEO) are currently supervising the implementation of various infrastructure projects along the whole stretch of the road ensure it will be safe for motorists once completed. Aside from the restoration of the washed-out detour bridge along Camp 5, the other major infrastructure projects along Kennon road are the repair of the Camp 1 and Camp 6 bridges which were heavily damaged by the last two strong typhoons last year and the construction of slope protection walls in critical portions of the road and the shotcreting of a huge portion of the Klondykes section. Initially, the DPWH-CAR allowed the roadline be temporarily opened for the use of residents in the different communities along its stretch, provided that, they will police their own ranks so only the people in the area will use the road to allow the smooth implementation of the ongoing projects in various sections of the road so that the same will be completed the soonest that will pave the way for its possible opening to light vehicles probably by the end of February.